It’s been long debated whether or not fuel injector cleaner or other fuel additives have any effect on your vehicle’s fuel system, or if it’s just marketing and automotive “snake oil.” So do system cleaners and additives actually work? Or is it just a scheme to make these companies some extra money? Unfortunately, it’s a little bit of both. There are products that work well, and there are ones that are simply ineffective. There are specific ingredients that you need to look for, and these products need to be used in a specific way. So, in that case, you might be wondering what brands are proven to be effective. In this guide, we’ll show you what to look for. After, we’ll help you understand how these products should be used so that you get the most from them. Before we go in-depth, let’s take a quick look at our top five choices. This will allow you to see the differences between the most popular options. After, you can read on to see our complete review of each option. It should come as no surprise to see Techron make the top of our list. The company that first patented the very additive that’s now found in all of the best fuel system cleaner solutions should definitely be one of your first choices. Techron has a higher concentration of PEA than most other cleaners on the market. If you’re starting to have serious troubles with your vehicle, this is the heavy muscle you want. We had an old Honda SUV that was approaching 19 years old. The car was new to us, but we’re pretty sure that it had never had the injectors cleaned. When accelerating from a stop, the car had very jerky movement and felt as if it was lacking power. We ran two bottles through. The first bottle help smooth out the idle, but didn’t really help with the acceleration much. After running a second bottle though, the cars performance drastically improved. 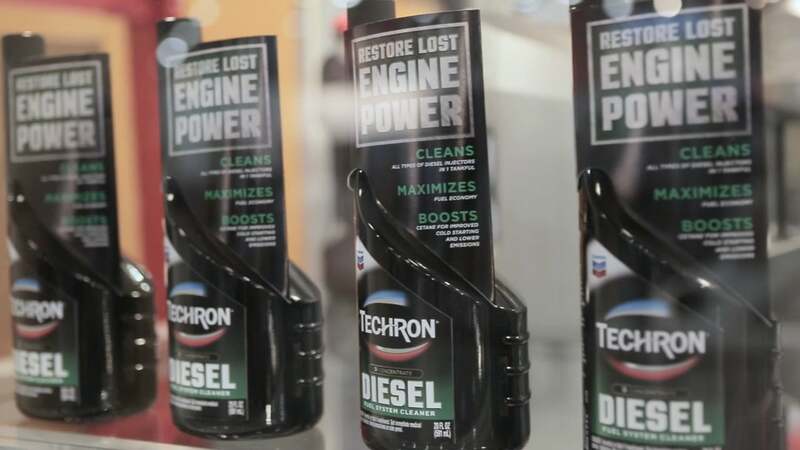 Techron is one of the most aggressive products on the market, and is best suited to vehicles that are starting to have performance issues. Our car was older, and had throttle body injection. Although not as eco friendly, this older type of fuel injection can really take a lot more abuse than modern vehicles. Most modern vehicles have fuel injectors that inject straight into the cylinders. For these cars, your injectors really have to be functioning well. With this in mind, we recommend Techron for an older vehicle with serious problems, or any modern vehicle that hasn’t been properly cleaned at regular intervals. This is the brand name fuel system cleaner, and you are going to pay a premium for it. While it can be a godsend for any vehicle that is experiencing problems if you’re just looking for something you can run through at regular intervals you might be better off with a cheaper solution. 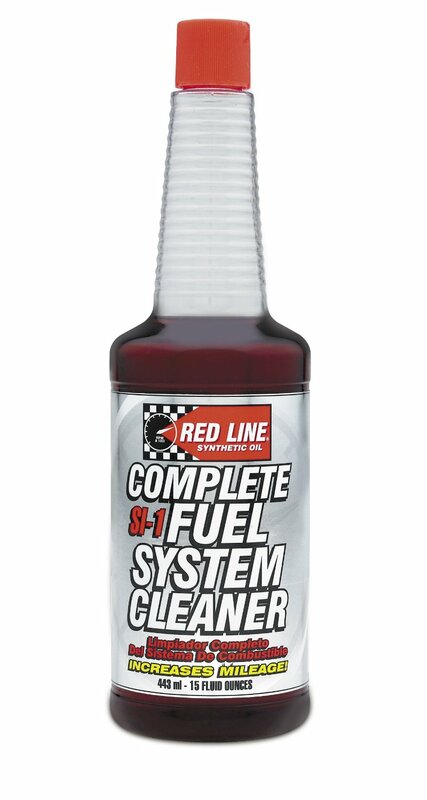 Red line is another contender for the best fuel injector cleaner. It has the highest concentration of PEA per volumetric unit than other option on the market. Additionally, it contains a few additives such as cylinder lube oil which can help keep your engine running smoothly. On older vehicles, adding a bit of cylinder oil is a good idea. Although you pay a little more for this option, anyone regularly running fuel cleaner through their gas tank will end up saving the time and money required to oil their cylinders. In essence, you can look at this as a 2 in 1 solution. Another nice thing about this cleaner is that it’s designed to be used with a full tank of gas. 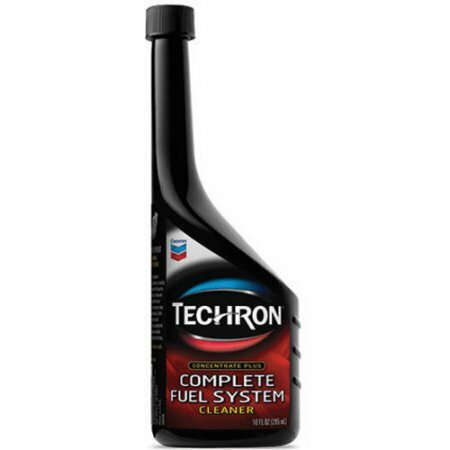 With many options (such as techron) you add the mixture to a nearly empty gas tank and idle your engine for a while. With this one, you pour the bottle into your near-empty tank right before you fill up and the pump. When filling the tank, the cleaner is mixed up with the fuel and cleans your engine continually. Red line is definately designed to be used at regular intervals. They recommend every 3000 miles, although you could easily get away with leaving it to 5000 miles. Because of its aggressive composition, this is our top choice for a vehicle that has been neglected over its lifespan. 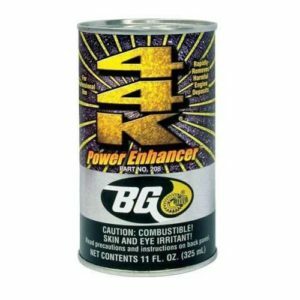 BG44K is the secret weapon of many mechanics. Surprisingly, it’s not always available locally. But if you dig around online you’ll find it, and we’re willing to put money on the fact that you’ll find a bottle on your favorite mechanic’s shelf. This package is an all-in-one deal where you get three cans plus a funnel that helps you pour it out easily. This is another fairly aggressive treatment that can clean out a ton of carbon deposits with just one usage. Unlike the Red Line, BG44K isn’t something you necessarily have to use all the time. Simply run a can through if you’re having any problems with your vehicle, then move on to a cheaper option if you’re looking to regularly maintain a clean engine. Many consumers have noticed that their vehicle runs more smoothly after using this cleaner, and modern vehicles can also see an improvement in fuel economy. One key thing that you need to know is that this cleaner is not suitable for diesel vehicles or LPG fired engines. This is strictly for gasoline-only automotives, so keep that in mind. Royal Purple is another brand that produces quality and trusted auto oils, lubricants and additives. Their fuel line treatments are no exception, and as a result has a deserved spot on our list. Their mixture has a good amount of PEA, so you can trust it’s actually working on you’re not just wasting your time and money. This is one of the most affordable treatments available as well, although like with the others, you may need more than one to get the desired effect. The low price is mainly due to how it’s meant to be used. it doesn’t have that ultra-aggressive chemical composition that’s designed to remove years of carbon buildup. Instead, this is something that you add to every tank to help keep a properly functioning engine running well. This is a popular choice for consumers in areas where the fuel quality is low, as it can keep an engine running smoothly. Alternatively, this is a great choice to use after you’ve cleaned your engine with one of the more aggressive options. Despite it’s affordable price, it’s still been highly reviewed by many people who found it worked very well. If you’re engine is running alright but feels like it could use a tune up, this is a great place to start. If you’re anything like us and try to buy in bulk to save whenever possible, then you should consider this 1 gallon treatment by Lucas. 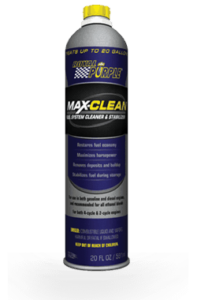 This is another one of the best fuel system cleaners that automotive dealers and shops will likely use, since it’s effective and affordable. 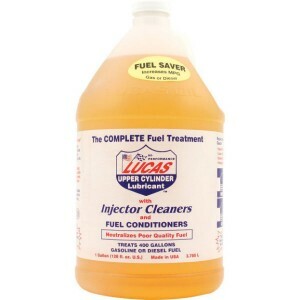 Lucas has a good amount of PEA that will effectively flush out the deposits from your fuel lines, restoring your fuel efficiency, power and overall performance of your vehicle. The downside is that you have to store this 1 gallon bottle, but if you have the space, it shouldn’t be an issue. There’s enough in there to treat 400 gallons of fuel so you should be covered for a while, and at a fraction of the cost of smaller treatments. In the seafoam vs lucas debate, lucas wins almost every time. It’s not quite as stong, but two runs of this stuff is still cheaper than a single run of seafoam, and this stuff works just as well. While not all vehicles need to be cleaned regularly if you’ve got a vehicle more than a few years old we highly recommend running this with every other tank to help keep your vehicle running smoothly. This is by far the best bang for your buck, and it can end up saving you a ton of money for future maintenance. As a highly respected brand, it should come as no surprise to see Liqui Moly show up on the list. They have a few unique formulations, and we have had people emailing us and recommending this brand. Unfortunately, we haven’t had the opportunity to try this brand out. So we will have to hold off on recommending them until we’ve got first hand experience. In your typical gasoline engines (99.9% of vehicles on the road), gasoline is essentially “burned” producing energy that the powers your engine – and vehicle. When you burn anything, you’re not transforming the solid matter into energy (if you could, you’d solve the majority of problems on Earth), but rather releasing stored energy within whatever you are burning. When you burn gas in an engine, most of it is released as a gas-byproducts, venting out of your exhaust pipe. But, the combustion process is never perfect, and not all of your gasoline is released in gas-form as exhaust. Think of this like a campfire: The large majority of your wood produces fire and smoke (energy and gas), but you’re left with the coals (leftover solids). And this is essentially what happens inside your engine: as gasoline produces “fire” (energy) and exhaust (gas byproduct) it still leaves behind solid deposits inside your engine and fuel lines. This is what fuel system cleaners are intended for: to remove these deposits. The deposits build up on the internal components of your vehicle, reducing the air flow necessary for a properly functioning engine. Engines function from a using an optimal mixture of gasoline and air to produce an engine-specific combustion reaction and the deposits can mess with that perfect balance. As they build up in your fuel system (over the years) can cause a variety of problems including: reduced gas mileage, rough idling, smoke, and reduced power. You can think of this like what happens when the arteries of someone with atherosclerosis. Eating too much fatty foods builds up in your arteries forming plaques which reduce blood flow and cause less-than-optimal performance. So, we need to get in there and clean it out! If your fuel additive does not contain any (or enough) PEA, it likely won’t do anything for your vehicle. 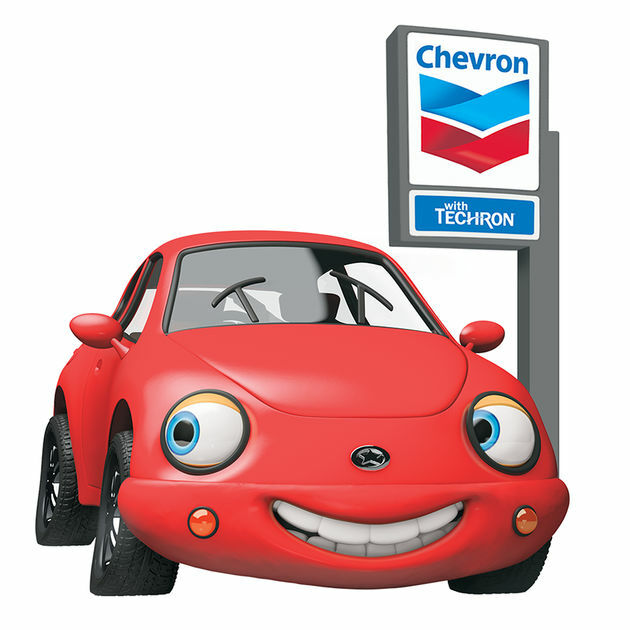 *Quick Note: This is why Chevron advertises its gasoline as having “Chevron with Techron,” since it can help the maintenance of your vehicle due to the presence of PEA. But, the Techron in the gasoline is in very small amounts and if you’ve never done it, your vehicle could probably benefit from some cleaner. We now know that the most active ingredient in fuel system cleaner is polyetheramine (PEA). Some brands fuel the misconception (sorry for the pun) that these cleaners work, since they don’t include PEA in their recipes, or at least not enough to be active, instead filling their bottles with alcohols, kerosene or other fillers. Without PEA, this isn’t really an effective fuel treatment. To help you find the right one, we’ve put together a quick comparison of the top choices on the market. We’ll show you which are the strongest, which are the safest, and which are the most cost effective. PEA free products aren’t totally bunk. In some cases where you have an old, filthy engine, running a few bottles through before you run a PEA cleaner can help remove the big bulky chunks of carbon deposits. But for most consumers, this is unnecessary. Alcohol based fuel injector cleaners are often used with old vehicles that barely run, and these types of repairs should be carried out by a certified mechanic. Most consumers are simply looking to keep their vehicle running well, or troubleshoot moderate performance issues. If your car still runs, you want a PEA cleaner. When you’re ready to use it, you most typically just pour the entire bottle down an almost entirely empty gas tank. It’s also recommended by some people to treat the vehicle every oil change, which is likely a little overkill. For a ~$10 fuel treatment every other oil change, though, you can potentially extend the gas mileage and lifespan of your vehicle. We’ve given you a rough idea of what to look for, but there is still quite a lot of difference between specific brands. Up next, we’ll be going through and showing you our favorite fuel injector cleaner. We’ll go through each product one by one and show you what it has to offer. After, we’ll help you select the one that’s right for you. How can I Tell if I Have Dirty Injectors? If your car has a sudden shudder or a rough, lopey idle, then it’s possible that your injectors are to blame. Vehicles need a very specific mixture of fuel and air in order to run well. When your fuel system is dirty and clogged, it’s difficult to maintain that percise balance. The end result is a poor idle that seems to come out of nowhere. When you first got your vehicle, it likely started with just a quick crank of the key. If this has degraded over time, you might have to hold the key for much longer than usual. Additionally, you may find that you are unable to get the car to start unless you give it a little gas. These are all symptoms of a fuel delivery issue, and are not something that you’ll want to ignore. If you’re finding that a tank doesn’t seem to get you as far as it used to, poor fuel delivery could be the issue. When the AFR (air fuel ratio) is thrown off, your vehicle puts out less power. This means that you’ll have to push the accelerator harder to reach the same speeds you used to. This can result in wasted fuel, and lower miles per gallon. The change likely won’t be dramatic, so this is much easier to measure if you have a newer car that displays your mileage. What Types of Injectors Are There? Fuel injection has been around for quite some time, and over the years this technology has changed dramatically. For this reason, not all types are alike. To understand the different types of injectors out there, check out our detailed writeup on the topic. How Should I Use Fuel Additives? How you use these fuel treatment products depends a lot on what you are trying to accomplish. If you’re going for preventative maintenance, then the process is simple. Simply add a bottle of your favorite product to a gas tank that’s at least half full. The additive will be heavily diluted since you have quite a lot of gas in the tank. This provides slow, consistent cleaning while you drive. When done this way, you likely won’t be able to remove build up. But this will prevent new build up from forming. This is best done on a vehicle that currently runs well, to help you keep it that way. If you’re having performance issues, then the process will be a little different. You want to give your injectors a strong, heavy shot of cleaner to help dislodge any gunk that’s built up. To do this, start with a gas tank that is nearly empty. Add an entire bottle of cleaner, and start to idle the engine. Depending on how much fuel you have left, you may find that you need to give it a little more gas than usual to keep it running. This is because fuel additives don’t actually power your car, they just clean it out. If you’re going for a drive, bring a little jerry can with you so you can top up as necessary. These problems affect the entire fuel system, so you won’t want to drive somewhere you could get stranded. If the performance issues go away, you can go ahead and refill the tank with regular gas. If you see improvement but still have issues, you can go ahead and try another bottle. If you stop seeing improvement, or you don’t see any improvement at all, then you should stop the process. Chances are the issue is either too severe for additives to fix, or you have another separate issue. If your car is totally un driveable, it’s possible that you may have another more serious issue. We wrote up a diagnostic guide to help you identify the issue, so be sure to check it out if you believe that your fuel delivery system is fully clogged. Are These fuel injector cleaners Good for Preventative Maintenance? the Jury is still out on this topic. Some people believe that this is an essential maintenance item that shouldn’t be skipped. Others thing that it’s a waste of money. After all, if you don’t have a problem, then why spend the money? Here’s the thing: in a perfect world, your fuel delivery system should NEVER get dirty. If a car is driven every day and maintained properly, these things are designed to work for the life of your vehicle. But there is an if: and it’s a pretty big one. Sometimes, we don’t operate under ideal circumstances. And there are lots of scenarios that manufacturers don’t account for. For example, fuel goes bad. If you park your car for a couple months while you’re on a top or simply not using it, the gas will degrade and can cause issues within your engine. Additionally, gas stations occasionally have contaminants introduces into their fuel tanks. These contaminants can build up and start to reduce the performance of your engine. Finally, there is the possibility of contaminants being introduced from within the cylinder. High mileage vehicles will have carbon buildup – a normal byproduct of combustion. Forgetting to change your oil regularly can also cause these issues. 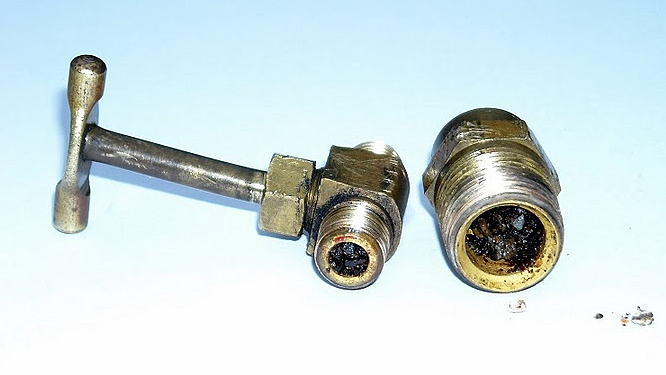 If this buildup touches your fuel injectors, you’ll start to have problems. Fuel additives are designed to address and mitigate these risks. Personally, we put a bottle in every oil change. But we aren’t rolling around in brand new cars either. On high mileage vehicles that have been sitting, we might run one once a month. On newer vehicles, we’ll throw a bottle in anytime we know that the car has been sitting for a while, or if we’ve had less than perfect maintenance habits. Some people like to wait until there is a problem. But if the problem is serious, it could cost you $1200 at a mechanic instead of $15 at home. What kind of fuel injector cleaner do I need? There has been much debate over the effectiveness of fuel injector cleaners. There are those who believe the product to be a necessary component of vehicle maintenance, and those who see it as snake oil, and a waste of money. There is some truth behind both stances, and the best way to decide for yourself is to understand how these products actually work, and what situations they are designed for. 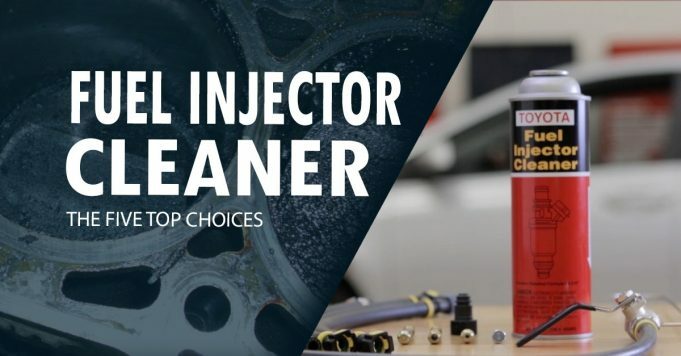 Different types and strengths of fuel injector cleaners do different things for your vehicle, so before you either write it off as a waste or invest in a bunch of it, let’s break down what happens when you use fuel injector cleaner. Thinking back to the process of fuel combustion, on a chemical level, the process is never perfect. As we discussed, every time a combustion occurs in your engine, small amounts of carboxyl compounds are left over from the reaction. Generally speaking, carbon buildup in your engine isn’t the end of the world, but over time, it can cause problems. This can be as minor as reduced power or as major as a blown head gasket. The purpose of fuel injector cleaner is to break down these carbon buildups (if they are localized on the fuel delivery system) and keep your engine performance running as optimally as possible. If you have a particularly old vehicle that no longer runs, there’s a good chance it has a lot of buildup in its engine. In this case, some high strength fuel injector cleaners coupled with a tune up might help get it back on the road. In some cases they can be used for deep cleaning of older or neglected engines that are just starting to show issues. If you’ve noticed your engine has a particularly rough idle, this is a good time to try to clean your fuel injectors. Assuming the problem is carbon buildup, fuel injector cleaner can provide a pretty cheap, highly effective solution. While it’s not the most common cause, it is one of the cheapest fixes. Why not try the $20 repair before you try the $1000 repair? Fuel injectors are not cheap, after all. Those who think ahead and hope to avoid this problem in the first place might run fuel injector cleaners through their engines on a regular basis. By some recommendations, this can be done each time you do an oil change. In reality, this is probably a bit of overkill. If you run fuel injector cleaner every 20-30,000 km, you’ll likely have no problems develop. Any more than that is unnecessary. Given the issues that major carbon buildup can cause in your engine, using fuel injector cleaner can theoretically improve your mileage. However, if you have a relatively new car, or use fuel injector cleaner semi-regularly, you probably won’t see any benefit. The only time you’re likely to see a noticeable improvement in fuel mileage just from one of these products alone is if you start with an old, possibly not running vehicle that has already suffered lots of buildup. So what about PEA-free fuel injector cleaner? This is where some people become skeptical of the usefulness of these products; many of them contain little or no PEA. And generally speaking, if a fuel injector cleaner doesn’t contain the active ingredient, it is probably doing nothing to help your vehicle. So how can a fuel injector cleaner possibly be useful if it doesn’t contain the active ingredient? PEA-free cleaners usually contain alcohol, kerosene, or other fillers that can break down carbon deposits. The problem with these products is that they really aren’t useful for people wanting regular maintenance of their vehicles. PEA-free cleaners are typically used on old vehicles that don’t run, and are only useful as far breaking down larger carboxyl chunks before a proper cleaning using PEA cleaner is done. So while both work by chemically breaking down carbon build up, only cleaners that contain PEA are going to be effective for regular use on running vehicles. 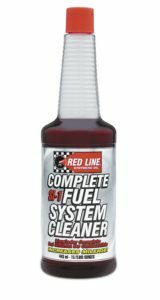 What’s the Best Fuel System Cleaner to Fix a Nonfunctional Vehicle? While these products have helped many consumers improve the performance of their vehicles, there is still a limit to what they can do. Years of neglecting to clean your fuel injectors will eventually lead to a vehicle that just doesn’t run well. Once you get to this point, or amount of commercially available chemicals can help you. Often, your engine will require a complete rebuild by a professional. Fuel injector cleaner should be used before your vehicle gets to that point. Just like regular oil changes, keeping your fuel injectors clean is essential when it comes to getting a long life out of your vehicle. What’s the Best Choice for an Older Vehicle? For the most part, age does’t really matter. Newer vehicles that have direct injection require more regular cleaning, as do older vehicles that have been abused. If you regularly run a cleaner on an older vehicle with throttle body injection, you can probably get away with running a bottle every 5 to 7k miles. There is, however, one exception to this rule. In most vehicles made in the 70s or earlier (as well as a few rare examples from the 80s) your engine may be carbeurated. Carborated engines cannot use these products. Instead, you should find something designed specifically for carbeurated engines. Didn’t see the brand your friend recommended on our list? There are more products out there that work, these are just our favorites. Here’s some more to check out if you don’t see the one you were looking for. Always read the reviews and see if PEA is an active ingredient!